Okay ladies, now let’s get our brows in formation. 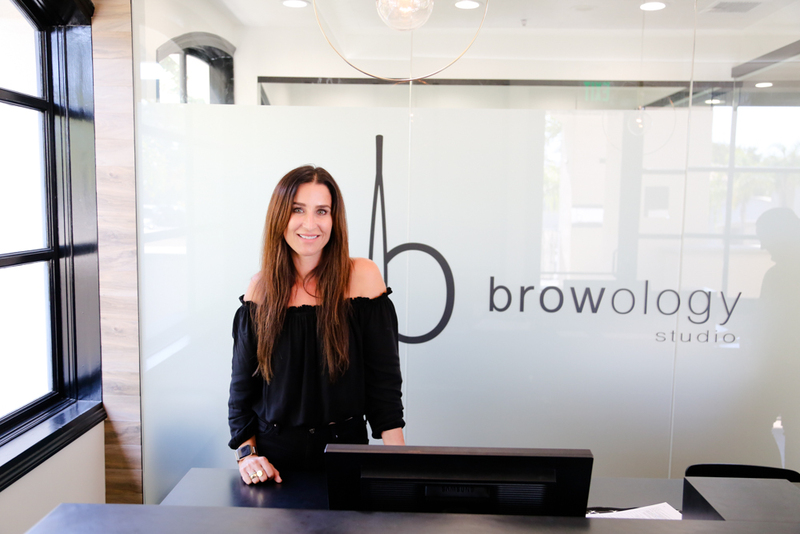 Owner Stephanie Bostwick, who has been in the brow business for the past 15 years, gets your brows perfected at her brand-spankin’ new Browology Studio in Del Mar. Treat yourself to the ultimate “me time” with a variety of pampering services offered, including customized facial treatments. Check out sweet self-care selections, which include body waxing, airbrush tanning and skin care treatments to enhance your already beautiful self. Bostwick worked in finance and recruiting before setting her sights on the industry of beauty and brows. “It was just my real passion and I love it,” she said. Lucky for us, her passion is beautifying everyday people who sometimes need a pampering pick me up. Although studio services help you glow on the outside, the goal is “the enhancement of natural beauty and the overall look of confidence for clients,” Bostwick said. She has become a true master in brow artistry, as she definitely knows her craft. Surely, her training under the top beauty influencer, Anastasia Soare—founder and CEO of Anastasia Beverly Hills—has a little something to do with her stunning skills to help clients slay all day. But, she can’t keep brows on fleek alone. Stephanie has a group of professional aestheticians on her team who have all been personally trained by her, using the same industry-leading techniques. Bonus? Each Browology aesthetician offers individual and specialized services and experiences for clients such as innovative brow techniques like “golden ratio,” lash lifts and semi-permanent eyebrow tattooing. This is a Locale Magazine article by Jasmín Nelson originally posted here.